Everyone told me that means ”let’s eat milk and cookies at Hemsedal” every time they played that song this weekend. 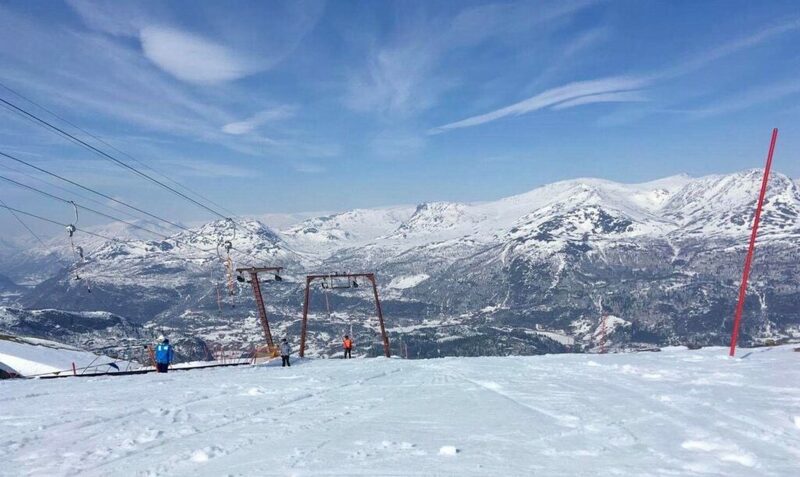 Sitting in Newington a few months ago I was told about the legendary, annual, GKN trip to Hemsedal by a fellow Swedish coworker. I immediately contacted the trainees here to sign me up and began waiting patiently for this weekend to arrive. Norwegian skiing is something many Americans only get to dream about, but today I am fortunate enough to be one of the lucky few to have actually gone! The trip started off with a 6 hour bus ride. 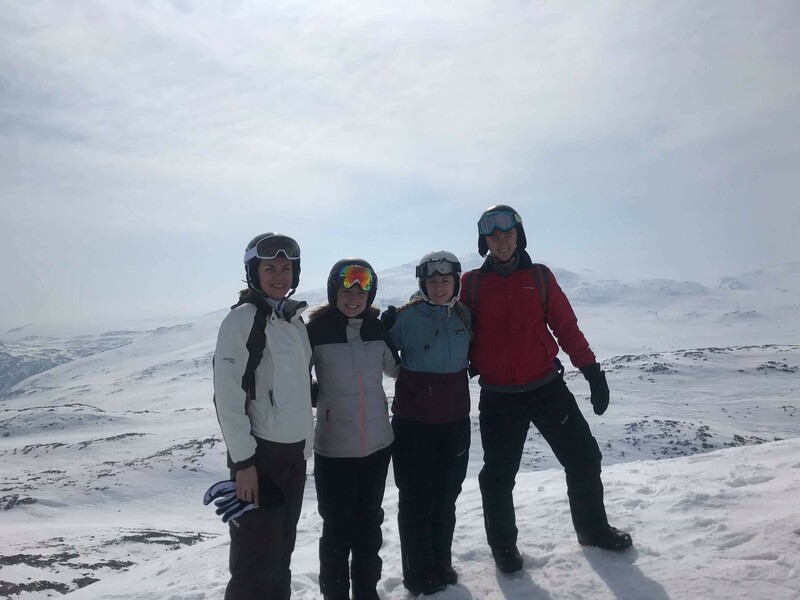 Between the swedish sing alongs, and the emerging mountains as we pushed northwest into Norway, this (seemingly quick) bus ride was the perfect way to introduce a weekend ski trip in the Norwegian alps. Skiing in Norway is very different than skiing in Connecticut. For starters, you’re on a mountain. Now, we call the places we go skiing in CT “mountains” but after this weekend, I think the term “hill” fits a little better. Second, the lifts. I’ve never even seen an “anchor” or a “button” lift before and it definitely showed the first time I tried to use them. Good thing not too many people saw. I did eventually get the hang of it though. Third, the saft and cookies. At around 11 AM every day a small hut on the mountain gives out warm saft and cookies to tired skiers. 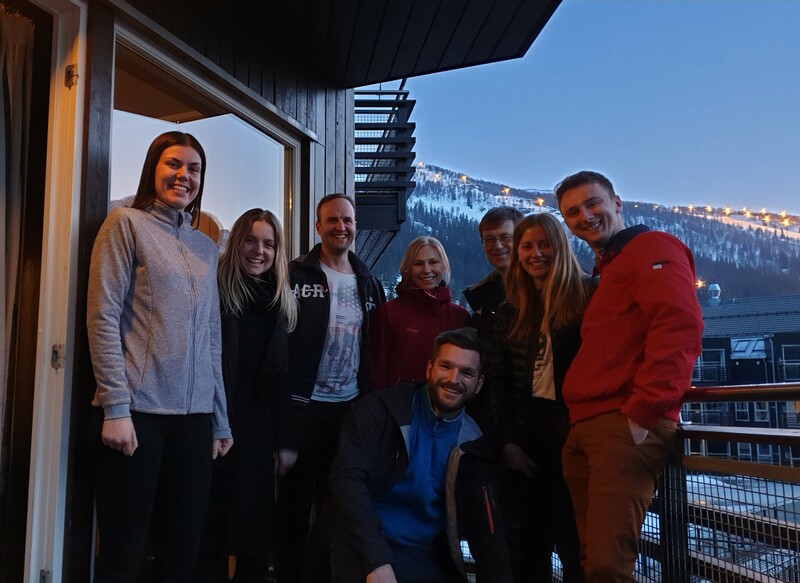 This FIKA-like tradition gave us the opportunity to warm up with a hot beverage as well as stop and appreciate the view from the top of the mountain. This was a small but unique touch that separates this ski experience from any other that I’ve had. Last but certainly not least, there’s the after ski. A wonderful Scandinavian tradition where after a long day on the slopes everyone kicks back, relaxes, shares a quiet glass of wine (maybe two if you’re feeling rowdy), and definitely don’t dance on tables with a bunch of strangers, a pitcher in each hand, singing “Rock and Roll all Night” at the top of your lungs. You definitely don’t do that. We finished the weekend with a 6hr nap on the bus ride back home followed by a week of sore legs. Totally worth it though. Det här inlägget postades i Blogginlägg av Dominic Miceli. Bokmärk permalänken.